If you've ever wanted to quit your job and work from home, or maybe just earn a little money on the side online, there's never been a better time to get started than now. Running a home business is easy, but does take time and effort to set up. In the end, though, it can offer a much greater sense of freedom, and financial independence than a so-called "real job." 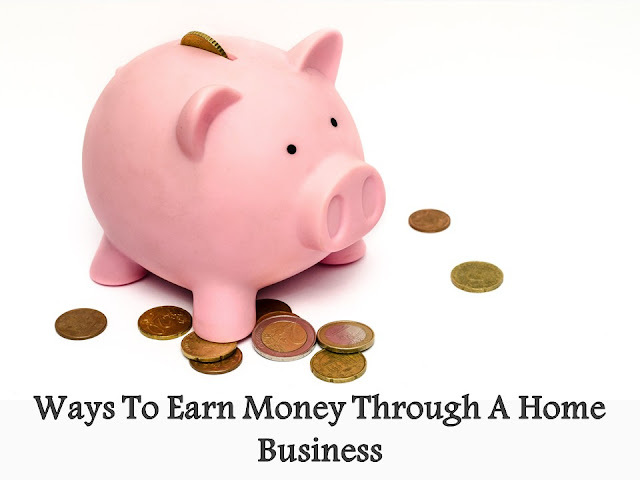 Let's look at some of the ways you can earn money with a home business. Starting a blog is probably the easiest thing anyone could ever do to earn money online. However, what trips up a lot of people is understanding how to monetize their blog. The key here is understanding that different blogs are best suited for different types of revenue streams. For example, a blog with many short posts would be well suited for ad revenue. On the other hand, blogs that specialize in product reviews would be great for earning affiliate commissions. And of course, if your blog is just the regular type where you just write whatever you want, you can work in a combination of affiliate products, ads, and even ask for donations if you want. Email marketing isn't just for big businesses, it's something that you can do as well. The key is finding something of value to offer people in order to get them to join your mailing list, then following up with related offers. That said, it can be best to work to form a relationship with your list, rather than just pitching offers to them 24/7. This makes email marketing a great business model to combine with a blog, giving useful information in addition to helpful products which you earn a commission on. If the digital stuff isn't your thing, you can actually make money selling psychical products from home, and there are many ways to do it. The first is selling homemade arts and crafts stuff on sites like Etsy. Alternately, you can also become what is known as a "reseller," and buy items in real life to sell for a profit online. Just be aware that resellers often face a lot of competition as the more experienced ones are usually fast to jump on a trend and milk it for all it's worth. If you plan on selling physical products you should also take into account that you'll need to handle shipping and handling as well. You can use the Page Field post office to ship your items and to get the supplies you need. Just be sure to pass along these expenses to your customers either in the form of a shipping/handling fee or simply by raising the price of your items. The most important factor when it comes to making money from home is your mindset. Let's face it, most people have been mentally conditions to function as mindless worker drones with no sense of initiative or self-motivation. If you can overcome these mental barriers, then your potential for success is literally limitless. Take the first step today, and soon you'll find the success you're looking for.